Pressure sore claims arise if an individual has developed a pressure sore through medical negligence. Although pressure sores may sound like a relatively minor complaint, they can lead to serious medical problems. In extreme cases, it is possible for pressure sores to progress into permanent disabilities. They are an increasing problem, particularly in elderly patients, usually in a hospital or residential or nursing home. Pressure sores are sores which are also known as bed sores or ulcers. They develop on the bony parts of our body that have less flesh to protect against prolonged pressure, such as the hips and heels. They are graded to define their severity in medical terms: Grade 1 pressure sores are the least severe and Grade 4 are the most severe. At Grade 4, pressure sores often do not fully heal. If a patient has a condition which causes them to need to lie in the same position for long periods of time then they can develop pressure sores. Because the pressure can restrict blood in some cases, it is up carers, nurses and other medical staff responsible for the patient, to make sure the pressure is alleviated from these areas as much as possible. Pressure sores can be prone to infections, especially if there is excessive sweating or if they are not cleaned and treated properly. In most cases, pressure sores can be avoided, but vulnerable patients need to be monitored carefully and regular checks should be done. Who Is At Risk Of Pressure Sores? Usually, pressure sores can be treated, but in some cases, they can cause medical complications. Because of this, it’s important that patients are monitored and looked after by medical staff. In some cases, gangrene and sepsis can develop and, in rare cases, they can prove fatal. Pressure sores can be caused by medical negligence or ‘medical malpractice’. Patients and families of patients often do not want to come forward with their problem but doing so could mean that you or your relative receives the financial compensation they deserve. This compensation is often useful in ensuring they have the correct treatment and do not suffer financially if they have experienced a loss of earnings. Sometimes, the distress caused by pressure sores can lead to a patient suffering psychological damage. It is possible for this factor to be considered in a personal injury claim. If you have a plaster or pressure sore compensation claim, please get in touch with our no win, no fee solicitors at First Personal Injury. After we have discussed your case with you, our expert medical negligence team will be able to advise you of the validity of your claim. We can also advise whether or not your pressure sore claim can be conducted on a no win, no fee basis. If you think you might have a pressure sore compensation claim, please get in touch with our team at First Personal Injury. 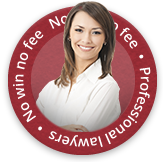 Our no win, no fee solicitors always aim to get our clients the maximum amount of compensation they are entitled to. Please call our national accident helpline number or complete an online claim form.